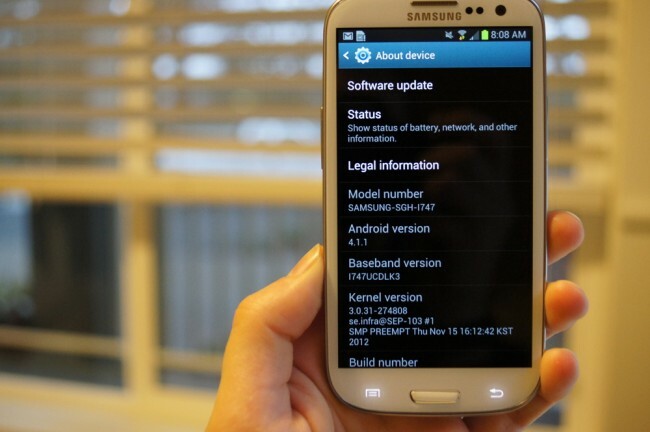 This morning, AT&T and Samsung announced that Jelly Bean (Android 4.1.1) is now available for the Galaxy S3. The final software build number of TouchWiz is I747UCDLJ3. The update, according to Samsung, will not be made available over-the-air, but is instead available via Kies. I updated through Kies last night, and as usual, the process was very simple. You can update from both a Mac or Windows machine. To my knowledge, that leaves Verizon’s version of the Galaxy S3 as the only one from a major carrier without Jelly Bean. We are hearing whispers of a December 14 date, but until that’s official, it’s not official.